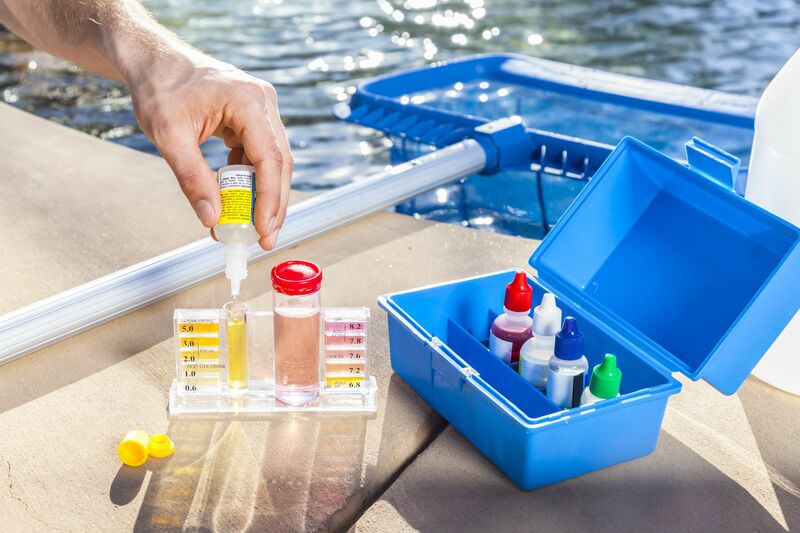 Do you have a local swimming pool or spa supply or equipment retailer that you frequent for all of those sanitizers, chemicals, filters, test kits, and even advice. But are you getting the best prices and selection? Check out this list of pool stores and online retailers that might have just what you're looking for—or what you never realized you needed. All of the retailers listed have supplies available for online purchase. What's Available: Pool chemicals, equipment, liners, covers, accessories, parts, toys, floats, games, parts, above-ground pools, spas, fire pits and fireplaces, outdoor furniture, garden structures, outdoor recreation, pet supplies, etc. What's Available: Cleaners, chlorinators, chemicals, purifiers, heaters, filters, cartridges, pumps, control systems, lights, spa ozonoators, blowers, filters, switches, etc. Some people have abandoned their local mom-and-pop pool supply store in favor of big box stores like Costco, Sam's Club, Lowe's, Home Depot and Walmart. Supplies vary according to season; check with your local retailer. What's Available: Pool chemicals, equipment, cleaners, liners, covers, accessories, pool-opening kits, above-ground pools, spas, etc. What's Available: Pool chemicals, covers, equipment, liners, accessories, patio furniture, above-ground pools, grills, pool tables, tanning beds, and other outdoor items. What's Available: Everything from above-ground pools, hot tubs, chemicals, and accessories, along with outdoor furnishings, billiards, ping pong tables and sets, fire pits, and even mailboxes. What's Available: In addition to chemicals, equipment, and supplies, Horizon offers local services like replastering, water management, repair, and renovation. What's Available: Cleaning supplies, accessories, opening kits, filters, liners, equipment, pools, spas, toys and floats, parts, etc. What's Available: Replacement parts, pumps, heaters, filters, cleaners, motors, pool covers, salt systems, cartridges, grids, and more. What's Available: Chemicals, parts, accessories, equipment, parts, hardware, pools, hot tubs, toys, games, floats, etc. What's Available: Shock, algaecides, chlorine solutions, maintenance equipment, automatic and hand-held pool, and spa cleaners. What's Available: Pool accessories, liners, toys, equipment, cleaning supplies, chemicals, winterizing kits, above-ground pools, outdoor furniture, accessories, billiards, bars, etc. What's Available: Spa chemicals and accessories, ozonators, steps, cover lifters, covers, pool and spa filters, above-ground pools, fencing, heaters. What's Available: They specialize in above-ground, semi-inground, and saltwater pools. Equipment and supplies include lighting, pumps, skimmers, filters, decorative pool liners, covers, replacements parts, and toys. Locations: Several locations in Indiana, including Greenwood, Plainfield, Noblesville, Brownsburg, and Fishers. What's Available: Structural wall vinyl liners custom-made for any size or shape of swimming pool, solar and automatic pool and spa covers, Big Green Egg and Louisiana grills. Services include pool openings, sand changing, pump and fill, drain installation, service packages, and weekly pool care. What's Available: Pool supplies, cleaners, chemicals, filters, lights, heaters, chlorinators, equipment, parts, above-ground parts, and supplies. What's Available: Pool supplies, cleaners, equipment, parts, spa supplies. What is the Purpose of a Pool Skimmer?